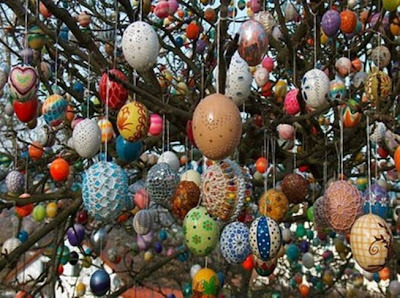 A Timeless Cool Easter Tree...this story was shared with me by a dear friend who has shared lots of cool traditions over the years. We should have done this Liz...it's too late for this year. Let's plan on next April 1st...your house or mine? 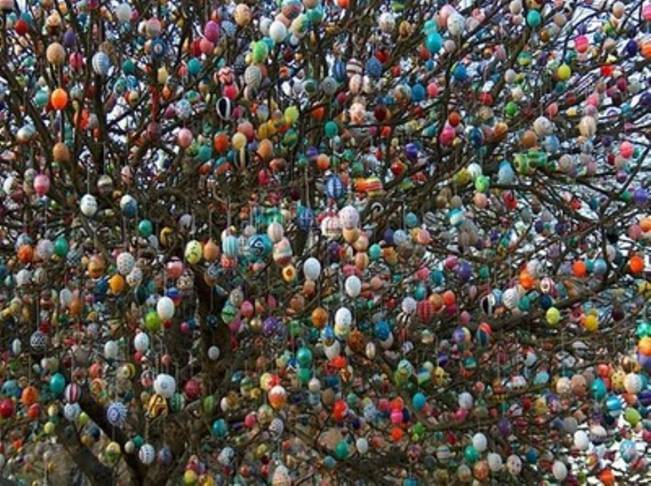 Around 1945, as a young boy, Volker Kraft saw his very first Easter Tree (Eierbaum, Osterbaum or Ostereirbaum, in German). He decided he would have one of his very own when he grew up, time passed and the young Volker became a married man with a family. 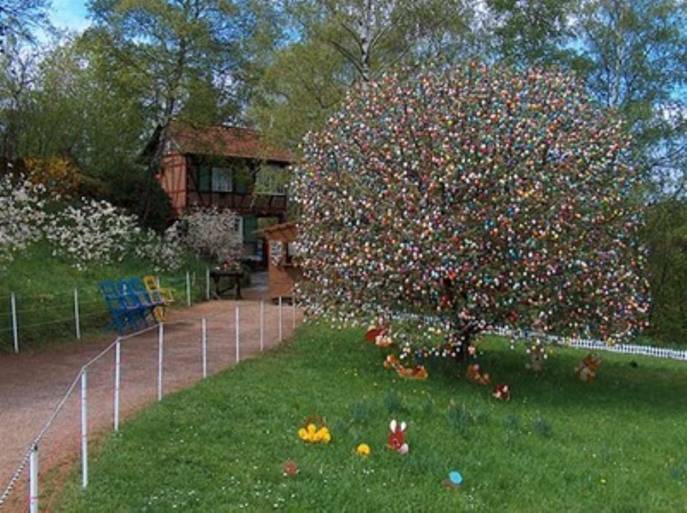 Still holding on to his childhood dream, he decorated his first Easter Tree in 1965 using 18 colored plastic eggs. In a few years, he and his wife stopped using plastic eggs and used real eggs which they decorated after using the insides. Aa their children grew, it became a family affair with all helping with the decorating. The Easter Tree became a family tradition, known not only in their home town of Saalfeld, but all of Germany. After their children moved out of the house, Volker thought the tradition of the Easter Tree would not continue but their grandsons arrived and the Kraft family went back to decorating their giant tree. 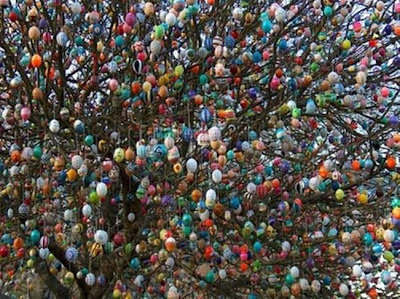 The number of Easter eggs hung by the tree branches grew every year. 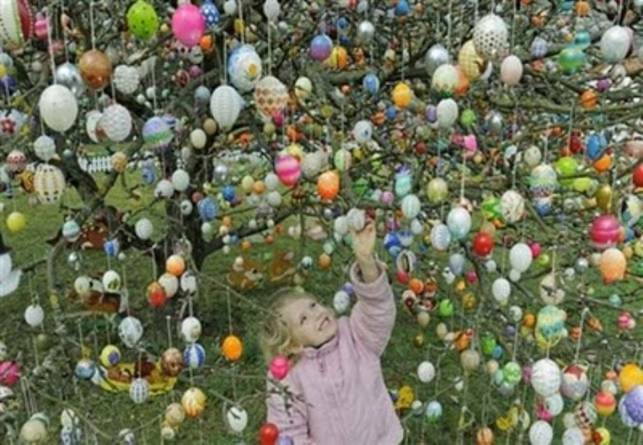 In 2010 it reached an incredible 9,500 eggs. 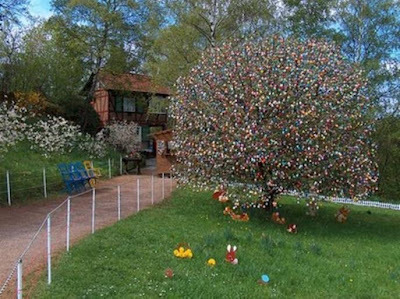 It takes 2 to 5 people two weeks to decorate the tree. 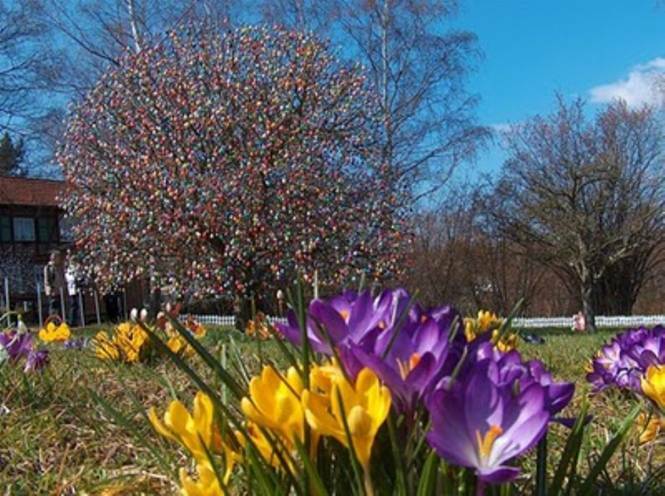 It stays fully decorated for 2 weeks before Easter and one week afterwards. What a cool tradition! tablet computers which incorporate a time-keeping device, pocket watches take us by surprise with an unprecedented comeback.